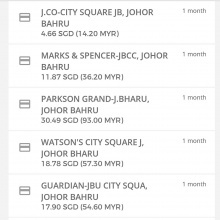 So I've been using YouTrip card for my JB trip. I didn't change money at arcade anymore ever since I got this card. 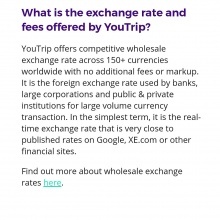 The exchange rate is pretty competitive till now. Good for people like me who carries minimum amount of cash in the wallet.I got this card in two weeks upon application. Typical mastercard with ezlink function so I use it for my transports as well.Paywave is my favorite payment mode so this is so convenient for me. Join our community! Download the app, and get updates from scarletheart. Remove this bar by logging in.